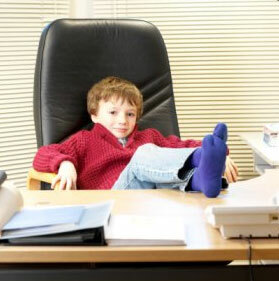 On Take Our Daughters and Sons To Work Day, teach kids how to make their money work for them! If you are responsible for pulling off another successful Take Our Daughters and Sons To Work Day this year, you have come to the right place. Money Savvy Generation has packaged content and activities for financial education sessions ranging in length from 30 minutes to 3 hours, and for kids from age 7 to 15. All materials are fully scripted and come free with the purchase of a minimum of 24 Money Savvy Pigs/Money Savvy Cows and 24 Coloring/Activity Books or 24 Cash Cache Beginning Personal Finance Organizers. Note: April 26, 2018 is the next official Take Our Daughters and Sons To Work Day. Click here for more information.